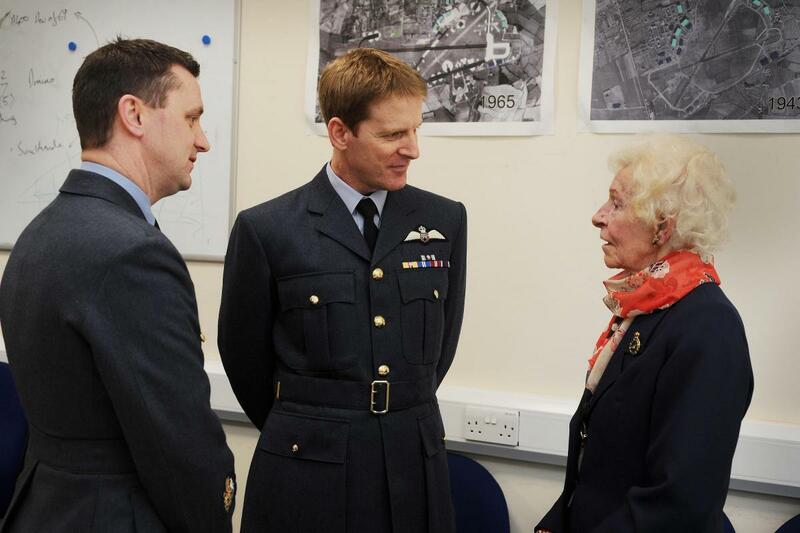 Mary Ellis chatting to RAF personnel at Brize Norton. Image courtesy of Oxford Times and Oxford Mail. 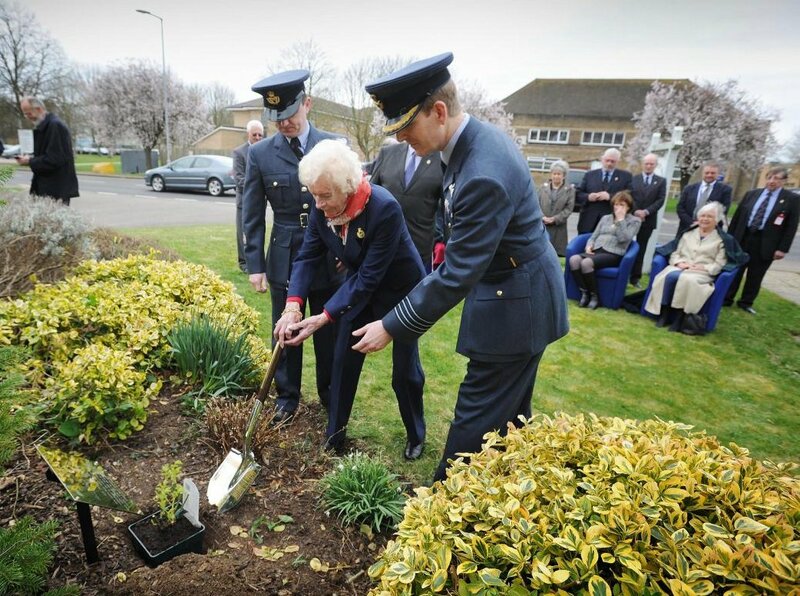 On 14 March 2017 ex-ATA pilots Mary Ellis and Joy Lofthouse were invited to a special ceremony at RAF Brize Norton, to plant a rose bush in memory of Molly Rose, who passed away in October last year. The rose bush jointly commemorates Mary and Molly and all of the ATA pilots for their contribution to keeping the RAF in the air throughout the war years. 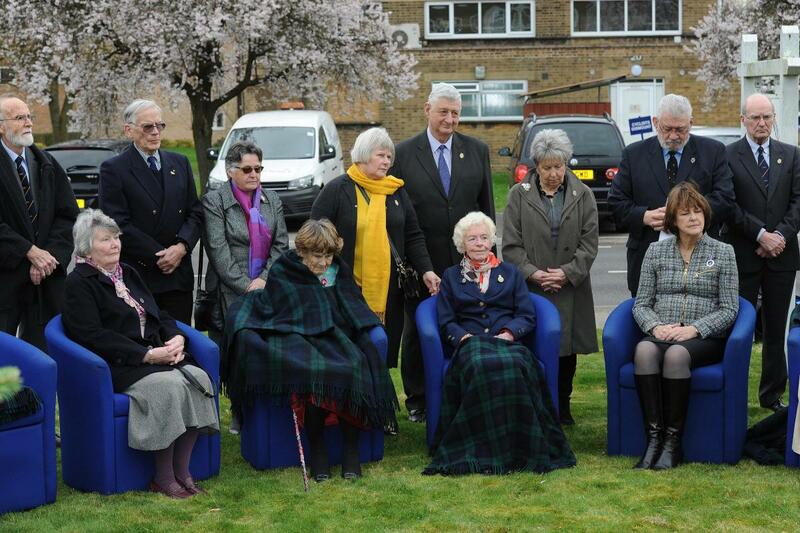 Mary Ellis and Joy Lofthouse at RAF Brize Norton tribute to ATA Molly Rose and Mary. Image courtesy of Oxford Times and Oxford Mail. Mary Ellis planting the Mary Rose bush at RAF Brize Norton 14 March 2017. Image courtesy of Oxford Times and Oxford Mail. 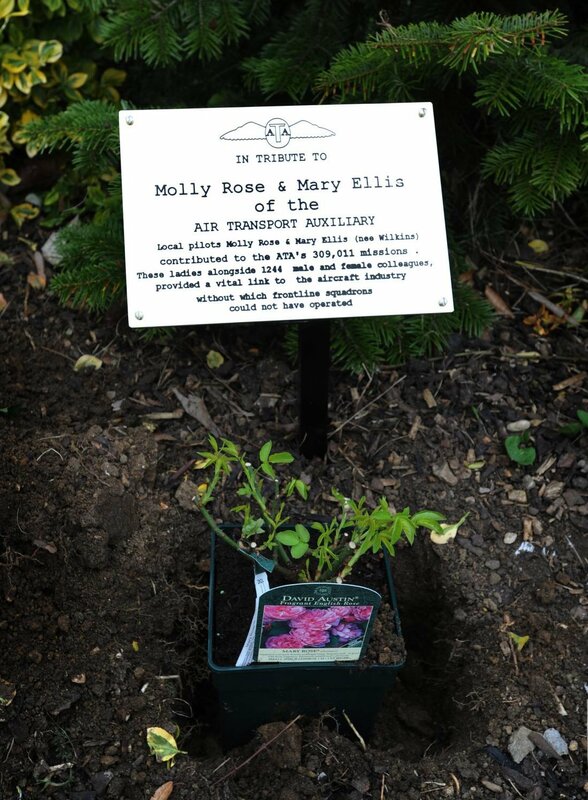 Follow this link to read the Oxford Times online story and to view more photos of the occasion, including some pictures of the late Molly Rose..
Mary Rose rose bush planted in tribute to the Air Transport Auxiliary pilots. Image courtesy of Oxford Times and Oxford Mail.